Is Our Drinking Water Poisoning Us? Local utilities across the U.S. participated in a voluntary federal study that has exposed a widespread and disturbing drinking water toxicity problem. Many of the chemical contaminants identified in the study are not even regulated under the Safe Water Drinking Act, so the utilities are not even required to monitor for them under current regulations, let alone treat or limit them. Perhaps this is an area where some of the funding the Administration likes to spend on collecting phone records would be better spent! Protecting public health shouldn’t be this hard. When it comes to chemical safety, Congress should shift the burden of proof from regulators to manufacturers. A recent survey conducted by researchers at the U.S. Geographic Survey (USGS) and the U.S. Environmental Protection Agency (EPA) found traces of 18 unregulated chemicals in drinking water from more than one third of U.S. water utilities. Of the 21 total chemicals found, researchers discovered among them 11 perfluorinated chemicals, an herbicide, two solvents, caffeine, an antibacterial chemical, a metal and an antidepressant. Preliminary findings were presented by scientists at an annual toxicology conference held by the Society of Environmental Toxicology and Chemistry last month in Nashville. 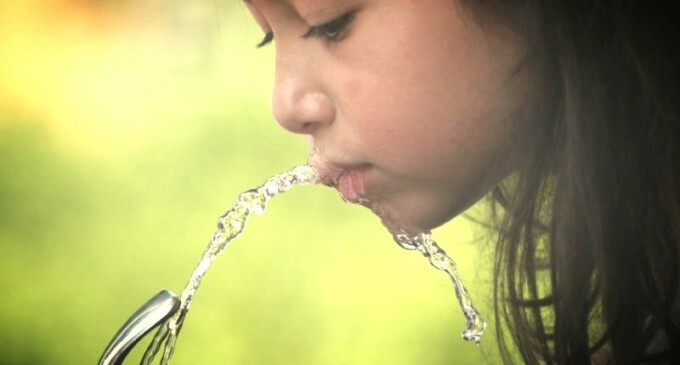 Only 91 contaminants are regulated by the Safe Drinking Water Act, yet more than 80,000 chemicals are used within the United States, according to EPA estimates. Government and independent scientists have scrutinized thousands of those chemicals in recent decades, and identified hundreds associated with a risk of cancer and other diseases at small concentrations in drinking water. Regulated chemicals such as fluoride have been added to drinking water supplies for decades without any regard to long-term health. The fluoride added to 90% of drinking water is hydrofluoric acid which is a compound of fluorine that is a chemical byproduct of aluminum, steel, cement, phosphate, and nuclear weapons manufacturing. According to a study, 50 chemicals capable of interfering with hormones is permitted in packaging in the United States and the European Union. and we are at risk from these chemicals yet it has not been publisized by the media to warn the people of this risk, which leads me to believe that there is something sinister going on behind the scenes that noone wants the public to know about. genecide maybe?? ?